Trina Solar (TSL) is one of the foremost solar panel companies and is also a low cost manufacturer of solar modules in China. Founded in 1997 with 12 offices worldwide, Trina Solar has partnerships with leading installers, distributors, utilities and developers in all major PV markets and is listed on the NYSE. Trina Solar is a fully vertically integrated company, right from the production of ingots to modules into both mono and multicrystalline technologies. Jinko Solar (JKS) is another vertically integrated China based company making Modules, Cells & Wafers. Jinko Solar is one of the lowest cost solar panel producer and was the best performing solar stock in 2012 according to me. The company has a wide customer base in more than 10 countries, including Germany, Belgium, Spain, Italy, France, the Czech Republic, Israel, the United States, Japan, Australia and China. Jinko Solar uses nanotechnology-based silicon ink and processing platform in the solar panel production. Both Trina Solar and Jinko Solar panels can be conveniently used for residential, commercial and utility purposes. Trina Solar offers i) PA05: 60 cell Universal (residential, commercial and utility) ii) PD05: 60 cell Dual Glass (residential, commercial and utility) iii) PA14: 72 cell Utility, iv) PD14: 72 cell Utility. Jinko Solar makes i) JKM200M-72, ii) JKM255M-60 and iii) JKM 270M-96 monocrystalline panels and i) JKM250P-60 and ii) JKM295P-72 polycrystalline panels. In Trina Solar the cell type are 125×125 mm for monocrystalline modules and 156×156 mm for multicrystalline modules. JKS solar panels come with both 125×125 mm and 156×156 mm for monocrystalline modules and 156×156 mm for multicrystalline modules. The solar modules’ wattage for Trina Solar range between 240W – 305W, whereas Jinko Solar panels come in 180W – 295W wattage range. 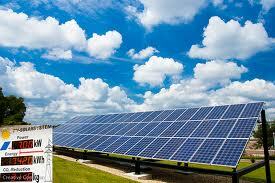 Both solar panel brands have frames made of Anodized Aluminum Alloy. For Trina Solar modules weigh 15.6kg for monocrystalline panels and 19.5 kg and 28 kg for multicrystalline modules. Whereas Jinko Solar panels have weights of 14.5 kg, 19 kg and 20 kg for monocrystalline modules and 19 kg and 27 kg for multicrystalline modules. The solar panels of both the brands come with load resistance of ~5400pa to withstand wind and snow loads. Positive power tolerance of Jinko Solar and Trina Solar modules is ~0-+3%. Trina Solar Modules are manufactured according to international Quality and environment Management System Standards ISO9001, ISO14001. Jinko Solar panels are UL, CSA, CEC, TÜV, VDE, MCS and CE certified. Jinko Solar modules come with a 10 year warranty whereas Trina Solar modules come with a 10 years product warranty & 25 years linear power warranty. For other technical details, you can look into the respective websites of Jinko Solar and Trina Solar.